Most of our meals are prepared using the sous-vide method and then seasoned on the Big Green Egg grill by means of charcoal. By uniting old and new technology, the Brandy la Moravia restaurant has created extraordinarily unique meals that will take your friends’ breath away. 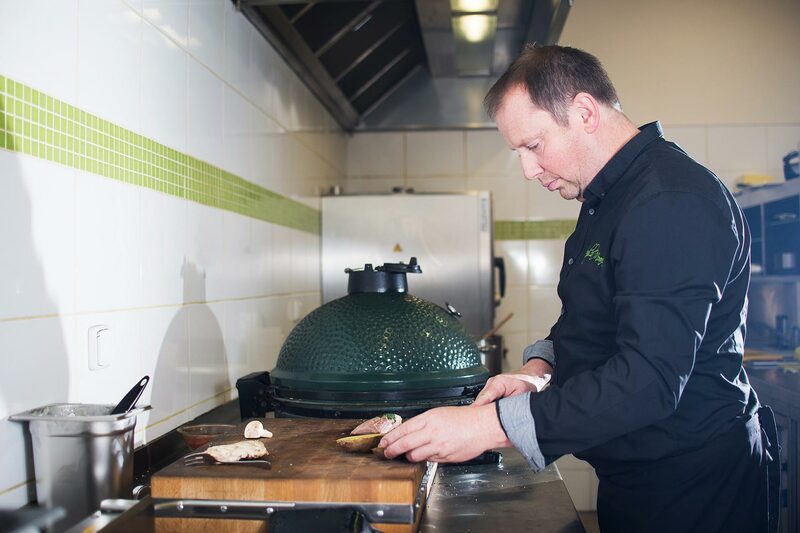 Old technology – the charcoal Big Green Egg grill; a ceramic egg that imbues meats and vegetables with a natural colour and the taste of fire. New technology for meat preparation – sous-vide; meat is prepared in vacuum, surrounded only by herbs and its own juices. Technology itself isn’t enough, though; we place a great emphasis on choosing raw ingredients, their storage, and preparation itself. Brandy la Moravia’s kitchen has underwent a complete reconstruction and is furnished with state-of-the-art equipment. The restaurant’s design was entrusted to a prominent designer and his team. Come see for yourself.